A research paper by renowned consultancy Aberdeen Group reveals that “[data] complexity is often best answered with simplicity”. Several new surveys conducted by the group reveal some interesting findings with regards to the costs and benefits of using an integrated tool for data preparation, querying and visualization, as opposed to the “assembly line” approach of dividing these tasks between various proprietary DW, ETL and visualization tools. The main finding is that simplicity drives analytical success: organizations that use a single, integrated solution were twice as likely to report improved organic revenue, operating profit and discoverable data year-over-year. These types of organizations were almost much more likely to report higher rates of user satisfaction with the ease-of-use for existing analytical tools. Get the full research paper here (it’s free), or read on for the 3 key takeaways. So – how do top performing organizations rise up to the challenge of complex data? 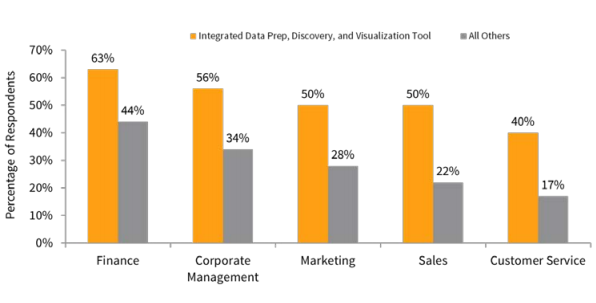 Top performers showed a clear tendency to choose a single software solution for data preparation, analysis (discovery), and visualization. Using a single tool simplifies the entire process of driving value from data, from data collection and preparation through to analysis and presentation – among other factors, due to the fact that users don’t have to wait on IT to perform mundane data task and thus have easier access and ability to act on their data. Simplification also drives increased user satisfaction, with top performers reporting over twice as many users per capita who are satisfied with the ease-of-use of their analytical tools. We’ve seen that the topmost organizations show a tendency to choose a single BI tool for all their analytical needs – but are they seeing results? 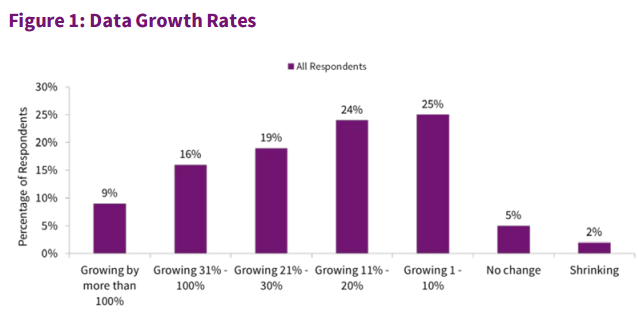 According to the research, the answer is yes as survey respondents using these types of tools reported higher levels of analytical activity in finance, sales, marketing, customer service and corporate management. Using a single solution helps organizations avoid many of the common BI pitfalls, such as the forecasted costs spiraling out of control due to the unforeseen costs of deploying and maintaining a broad range of tools which need to work in unison to provide for analytical access to data, as well as users becoming frustrated with their inability to reach actionable conclusions independently. These and other factors could definitely go a long way towards explaining the increased pervasive analytical activities in organizations that take the single-stack approach, as can be seen in above chart – with users of these tools achieving insight within the decision window 20% more often than all other users. Download the full research now (free).